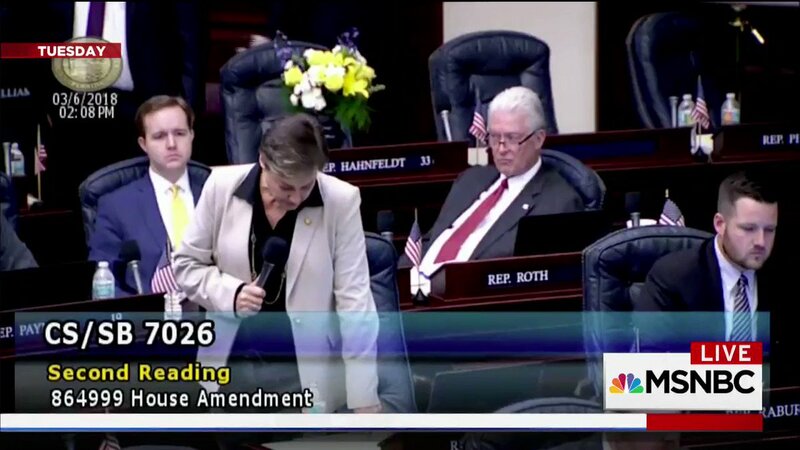 Shannon Watts's tweet - "Here’s the video... #FlaPol #FLLeg "
An actual Florida lawmaker: “We've been told to listen to children and do what they ask. Are there any children on this floor? Are they making laws? Do we allow children to tell us we should pass a law that says no homework? No. The adults make the laws."